I’ve owned a Blackstar amp for a few months now and kept meaning to take an image to highlight its clean lines. So, I eventually got around to shooting it and decided that it was also a great opportunity to have some practice with a Blender render. 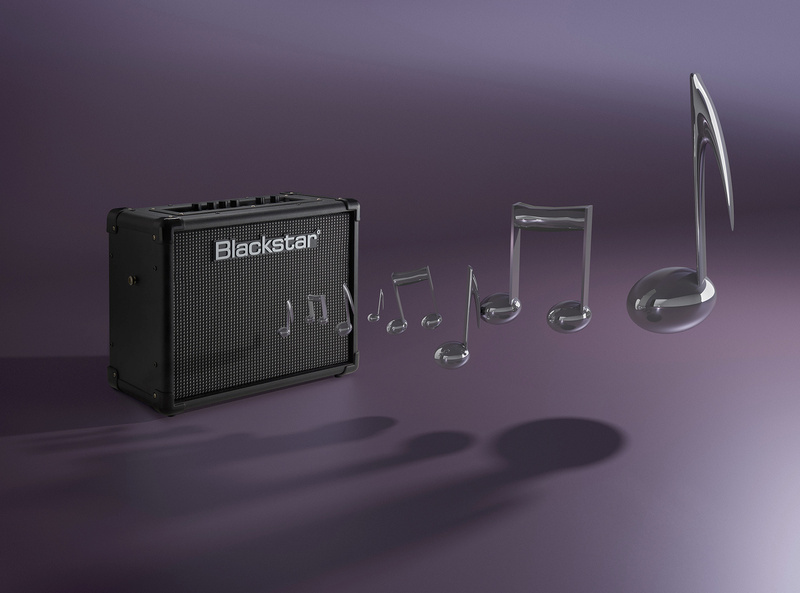 The musical notes were modelled and rendered along with the BG and lighting and this was composited with the amp which was photographed and then cut out in PS. Deep Purple seemed like an appropriate colour for the background!